In GE’s new testing protocol, all engine cycles are not created equal. The company gives greater gravitas to engine operations in challenging environments. GE Aviation has developed a new testing philosophy and process specifically for the GE9X engine. The company expects that by applying its new ideas to the GE9X certification testing program, the powerplant—designed as the sole-source engine for the Boeing 777X family—will enter service offering reliability and durability as least as good as the mature GE90-115B powering the 777-300ER. At the heart of GE’s new testing philosophy is a realization that "…not every cycle is equal," according to Ted Ingling, general manager of the GE9X program. 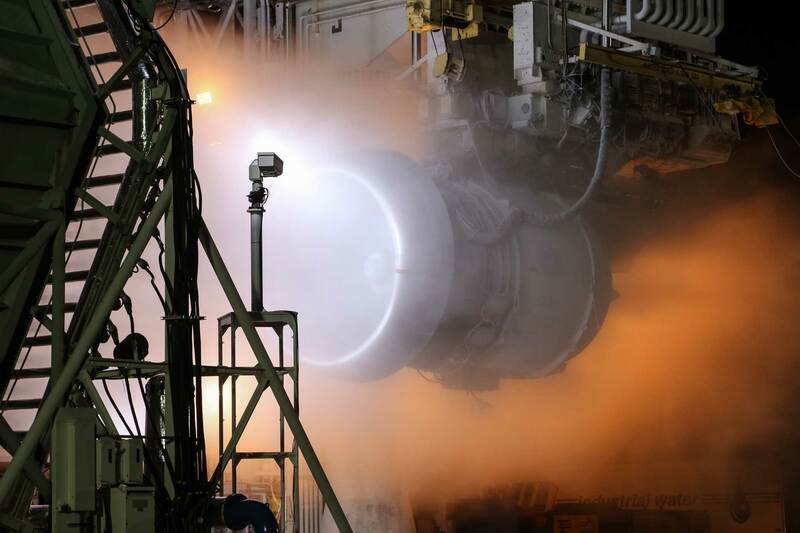 "This is an insight obtained from long experience of previous commercial engine test programs," he said. “It’s not really cycles that matter.” What matters is the varying environmental and operational conditions to which an engine and its components are subjected during flight. As a result, Ingling told AIN, “We’re taking a fresh course to describe the cycles to which we want to stress-test the engine.” This has involved GE Aviation (Stand A20) changing its testing philosophy and testing-validation process for the GE9X, so that “Our mission is to stress-test it harder, run it hotter and expose it to dust.” This will let the company emulate the environmental conditions in which many of the world’s GE9X engines will exist, powering many of the 777X fleet’s take-offs and landings. Hot, dusty and salt-laden atmospheric conditions often prevail in the Middle East. The GE9X design team has the tools to measure the effects on each engine and its components of the differing key-part dimensions, operating conditions and environmental factors they face during testing, he said. So GE Aviation can create “digital twins” of all 14 engines (from SETT onwards) involved in the GE9X development program. These digital twins will let GE’s designers and engineers understand in detail the specific effects of each variation occurring during any given test or flight cycle, according to Ingling. “So we can understand the aging of [individual] components and validate component designs, recognizing there is variation between cycles,” he added. By the time the GE9X enters service—Boeing’s 777X target service-entry date is late 2019—GE Aviation expects to have conducted about 18,000 flight-equivalent cycles on the development engines throughout the GE9X development and test program. Because of the new data-analytics capabilities that the company’s14 digital twins will offer, “We will have much more powerful learnings than [for any engine program in the past] from those 18,000 cycles,” said Ingling. Testing the GE9X “isn’t adding more sensors or more parameters” than in past test programs, “but we’re sampling them differently and marrying them up to all the variability” between engine parts and components that will result from the varying operating and environmental conditions to which each part is subjected during the test program. This will transform GE Aviation’s “ability to be precise on engines that don’t have all the operating [history]" of its existing commercial-turbofan powerplants, such as the long-proven GE90-115B. It will mean that “as we go through the [GE9X] maturation [process] and as we pass a certain number of cycles, we will be able to understand how much life of components we have consumed going through those cycles,” in different operating and environmental conditions, Ingling said. The digital twins also will allow GE to assess how the testing conditions it sets for the GE9X will mirror the real-word operating and environmental conditions the engine will face as it undergoes GE Aviation flight testing, first; Boeing 777X flight testing, second; and then as the GE9X enters commercial service. “I suspect the [conditions set by the] factory will be harsher, but it is a way for us to be more accountable and to be more comprehensive in our interrogation of the results of the testing,” said Ingling. GE Aviation’s new engine-testing process “is a game-changer relative to maturation [of new engines], relative to our other programs and probably for the industry." Given that most 777X operators will use the aircraft they have ordered to operate the same routes as the workhorse 777-300ERs they operate now, it will be important for the GE9X upon service entry to offer operational reliability, durability and performance-retention levels that mirror those of the GE90-115Bs and GE90-110Bs powering all 777-300ERs and 777-200LRs. “Our vision is that the engine will be more predictable from day one, and ultimately in operation it will have better reliability,” said Ingling. “I think it will be better and will set a new standard, but our immediate goal is to help our customers bring it into service as seamlessly as possible” alongside their existing 777-300ER and 777-200LR engines. Including GE Aviation’s original development GE9X (the first engine to test [FETT], which the company began testing in March 2016), eight engines will be involved in the GE9X test program—not including one or more rebuilds of each engine after the completion of the interim phase of its test regime. Additionally, a GE9X core—comprising the GE9X high-pressure compressor, combustor and high-pressure turbine modules—is in GE Aviation’s altitude chamber for tests on the core’s aeromechanical properties and for thermal surveys. From the SETT engine onward, construction of all the other seven GE9X powerplants involved in the test program is to standard production configuration. GE Aviation’s SETT GE9X is now undergoing endurance testing. Engine number three, already completed, has been allocated to fan mapping and operability testing. After initial performance and reliability testing, engine four, also completed, is the engine allocated for flight-testing from Victorville in California on GE Aviation’s new flying testbed aircraft, a Boeing 747-400 formerly operated by Japan Airlines. Engine number five will be allocated to vibration and endurance testing, while engine six will perform the endurance block testing required for certification. Engine seven will be used for icing and ingestion testing for certification. Confirming that the GE9X is “a little heavier” than the GE90-115B, mainly because it has a larger fan diameter (its fan diameter, at 134 inches, is the largest of any commercial-aircraft engine ever), Ingling said GE Aviation plans to begin flight-testing the GE9X “later this year,” though he declined to provide an estimated date. Ingling did, however, confirm to AIN that “On the 747 testbed we scooted the [special GE9X] pylon a little forward.” That's because the GE9X’s fan diameter is 28 inches larger than that of the GE CF6-80C2 engines that occupy the other three pylon positions. GE has also tilted the test engine slightly—“it’s real modest, a little tilt.” That ensures the GE9X will have adequate ground clearance when slung under the specially developed, Boeing-manufactured pylon below the port wing of the testbed aircraft. “But in general, it’s flight-aligned—it has to be,” said Ingling, for normal flight and certification testing.